Sunday, October 26, 2014 @ 2015 Hrs. Today is the best day of 2014! A pain I suffer 24/7 with for over 3 years has been abated! I have arthritis in my right thumb-forefinger-middle finger knuckles. Pain—24/7 – Jacuzzi, paraffin immersions, motrin (not much- hard on kidneys), meditation. Those treatments only lessened or gave relief for minutes. I have been seeing a specialist, who has been driving me to use arthritic drug regimen. I won’t because the systemic effects are devastating to the body. Today, I incurred a minor tweak in my right instep at work. I used wrap, motrin, rest, elevation, with minor relief. An offer of “Healing” was made by Bill Hencke, as a friend. He explained what was going to happen: prayer, oils, cleansing, repair of my aura and energy. Following Bill’s direction, I relaxed and closed my eyes, to the “healing.” During my healing, which was to relieve pain in my right foot, an unusual occurrence happened. My right index finger began twitching and burning. It stopped—then my right thumb—twitched, followed by my index finger again . . . it felt like heat leaving my finger tip. When the “healing” was completed, an amazing relief was felt.My foot did not hurt, but that wasn’t what was so great. My right hand with arthritis—pain daily at 4 or 5 (on a scale of 0-10) was gone! Mobility . . . movement of my hand was normal. Before, I could not write normally with my right hand. I am writing this letter of thanks (in handwriting) and returning prayers to Bill for “his” healing! With my right hand! No pain—I cannot believe it. I will continue seeing Bill at his office for continued care to help me function without pain. Thank you again. God Bless. Hoodoovoodooquackery!! That is what I thought of Bill’s healing practice. I had serious chronic back pain for years that was ruling my life. I was even looking around at other careers, thinking I would never make it through to retirement as I was still in my early 30’s and had been dealing with it for over 6 or 7 years at that point. But I didn’t ask for Bill’s help, thinking any results from his work must have been placebo in nature. Bill was working on my crew the day I was going home because of the pain and I asked him if he would try his “magic” on me before I drove home. He did and my life completely changed after that. I felt pretty good immediately after, but not “I’ve been healed!!”. That night I felt really good but the pain was always on and off, so I didn’t think much of it (except that I had an unbelievable amount of energy). The next morning was when I knew. Before that day I always had to switch positions in bed constantly, as the pain built up no matter what position I was in. I woke up and realized I had slept the entire night (in the same position) (this had not happened in years). Wow! I couldn’t believe it, but then the most perplexing part of all of this came to light. I got out of bed and realized I was “as loose as a baby”. Instead of the usual wake up stiff and sore, I was as flexible as I had ever felt. I immediately began to test this flexibility with the usual stretches that I would do and all positions were beyond loose. No tightness, no stiff joints, and most importantly no pain. I truly could not believe it. Along with all of this was an endless amount of energy. The pain has not returned. I went around telling everyone of this amazing story and began to try and figure out what happened physiologically. As I told the story, I was surprised to hear of how many other people had their own stories of Bill’s healing. I still have no idea how it worked. A skeptic could call on the placebo effect for the pain relief, but sleeping the entire night and waking up limber and full of energy is tough to placebo. To this day I wake up feeling great. No pain, stiffness, or sleepless nights. P.S. Many people who have known me for years have a hard time believing this story. I don’t blame them. To these people I say put yourself back in the early 1900’s and watch someone put a wooden box in front of you with dials and other gadgetry. This person then says that a person’s voice from many miles away will come out of the box with no wires attached. Even more magical is that you can talk back to the person miles away with this magic wooden box (no wires). The wooden box is a radio. Up until that point, that was definitely considered impossible. Both my wife and I have had Bill Hencke perform his pranic healing on us and his treatment relieved our aches and pains. I would recommend that anyone who has never tried pranic healing should consider trying it. It worked for us! I met Bill at a training event for OCFA and during lunch he mentioned that he performs Pranic Healing. Intrigued and desperate for help with mid-thoracic back pain that I’d been having for 3 months, I decided to give it a try. We did a remote healing via Skype and within 12 hours my pain was completely gone. After 3 months of having doctor’s visits, chiropractic visits and some physical therapy, with hardly any improvement, I tried one distant Pranic Healing session, and then the pain was all gone. ​ It had been affecting my job, my workouts and my sleep! I was amazed at this miracle (and still am) and I have not had any problems since! I have to admit that I was initially very skeptical. I am not religious, or spiritual in anyway at all, so I approached Pranic Healing with extreme doubt. I have a very pragmatic view of the world around me, and I rely on what I see and experience as reality. I do know however, that there is far more to this world that we do not understand. With constant breakthroughs in scientific fields such as neuroscience and physics, it is easy to see that we are learning more about the human body and our interaction with the world around us daily. That being said…. I decided to let Bill do some Pranic Healing on me at work for the first time several years ago. Again, I was very skeptical, but approached it with an open mind. During my first healing, I had to get past my personal beliefs about spiritualism (because there most certainly is a prominent “spiritual” aspect to Pranic Healing), and get into what I like to refer to as the “Zen” of the healing. I have had Bill work on a myriad of personal ailments from muscle soreness to chest congestion. Bottom line, it worked for me. At the very least, it worked for me on an emotional level by alleviating some of the physical pain and physical sickness I was experiencing. 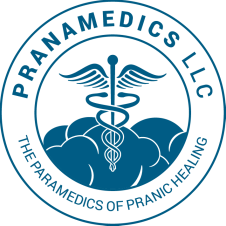 I am not saying that Pranic Healing is an end all, be all cure for disease, or a replacement to real medical treatment….however, I now approach Pranic Healing as a form of meditative calming, relaxation, and a “cleansing” of the mind. If you are willing to open your mind to the mere possibility of energy fields around the body, and looking at the human body as nothing more than a complex machine of electrical energy, then you will have the ability to approach Pranic Healing as real benefit for your health. I encourage anyone to try it. I encourage anyone to who is willing to try it, do their research first. At the very least, it can’t hurt, and who knows?…with the right mindset, you might even benefit from it…. For the past several weeks, I have been suffering from a progressively worsening case of pain and tightness in my left jaw and neck. It has been making it difficult to chew and swallow. In fact, earlier today I had to take my sandwich apart to eat it in layers because I couldn’t even open my mouth, the stiffness was that bad. Bill did a short Pranic Healing session for me, he spent about 15 minutes and mentioned that he was sweeping and “cutting my cords.” Immediately after, I felt that my jaw was more flexible and I was able to move it with less pain. And, about half an hour after my session, my whole neck, jaw, and head felt better, immediate relief. I felt more relaxed in general, I am amazed! ​I, Wendell Simmons, being of sound mind and body have to attest to the great things that Bill Hencke is doing with Pranic Healing. I’ve been a life time believer that there is more than one way to skin a cat, worship your God, put your mind and body in better places, etc. and Bill is doing that with his Pranic Healing techniques. I asked Bill if he would help me clear my path to promotion and better living and I could feel the changes as he was helping me. I could feel it…….very hard to imagine and explain but the feeling was real to me. Most important my mind was clear, my spirits were in alignment and lifted and I passed the testing/promotion process! I’ve been promoted to Fire Captain and am currently on probation! I can’t thank Bill enough for giving me the opportunity to open my mind and my soul so I could persevere during a challenging time. In life I have found that every little bit helps and I believe that Bill has made a positive difference in my life. Thank you Bill…..I will always appreciate what you have done for me and all our brethren! Bill, thank you for the relief of my back pain last night. After your session I walked away painless. I’m not sure how you did it but my pain was throbbing while I waited for you to begin, and once you were finished I walked away standing free of the pain I had minutes earlier. I heard Bill talk about healing a shoulder for one of our crew members today, and I was skeptical at first. But I had a shoulder injury caused by a ladder falling on my left shoulder 17 years ago, which never healed properly, even an x-ray shows bone tissue deformity. I’ve had pain and limited range of motion ever since. After a short healing session, I was able to raise my left arm 45° above horizontal, with no pain. Before, I could raise my arm completely forward, but to my side, I couldn’t raise it past horizontal. 15 minutes after the session was finished, I could raise my arm about 60° above horizontal, which I haven’t been able to do in years.